One of the joys of the annual High End Show, held each May in Munich, is the sheer variety of products on display. Downstairs from the glitzy showrooms in the main atrium space, an ever-growing number of halls house everything from small booths selling cable and connectors to large exhibition stands and even rows of cars showing off their sound systems – there’s always something new to discover. 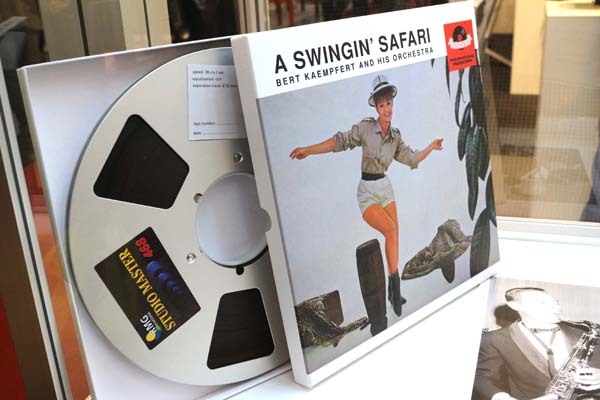 One such discovery this year was Horch House, based in Austria and specialising in reviving classic recordings from the original master tapes, and making them available to enthusiasts. Founded in 2012, it started with audiophile Volker Lange’s enthusiasm for analogue tape machines, and his realisation that the range of pre-recorded music available to play was more than a little limited. What he was looking for was high-quality tapes, and it turned out that the only way to achieve this was to get hold of original masters, and find a legal way of releasing them. He joined forces with Andreas Kuhn, whose Swiss-based business Analog Audio specialises in the restoration and refurbishment of classic Studer professional recorders, and who counts among his clients Paul McCartney, Abbey Road Studios and Sony Studios Tokyo. His role in the Horch House project has been as a consultant, maintaining the tape machines the company uses. The actual remastering is in the hands of Christoph Stickel, who has developed what the company calls its ‘soft refurbishing’ process. This involves making analogue and digital copies of the original tape, then using those to experiment with recorder set-up to approach as closely as possible the conditions under which the master tape was made. Only when these settings have been finalised is the original tape re-loaded and the actual copies made. And then what does the Horch House team do to these recordings, many of which are very old indeed? The answer is ‘absolutely nothing’: there’s no clean-up, remixing or processing involved, so what you’re getting with one of the company’s releases is quite possibly as close as you’re going to get to the original recording, played back on an optimally set-up machine. Beyond that, it’s up to you to supply the playback machine, and keep it maintained to specification in order to make the most of the sound of your newly-bought tape – which, by the way, is likely to have cost you around €600 for a four-tape set of the 1964 Maria Callas recording of Puccini’s Tosca, or just under €400 for one of a number of recordings by jazz musicians such as George Duke or Oscar Peterson. In this age of downloads and music libraries in your pocket, it seems reel-to-reel tape is having something of a revival: I know of a number of enthusiasts running everything from high-end consumer machines of the past to rescued studio recorders, and at most hi-fi shows I attend there’s usually at least one room sourcing its demonstration material from a big old recorder of the kind we used when I was back at school and involved in sound and lights for drama productions. At that time we’d moved on to using a couple of Akai 4000DS machines, bought new by the school for just this purpose, but I also remember there being some big Ferrograph machines still kicking around, their British battleship build even allowing them to withstand use by hamfisted and over-enthusiastic sixth-formers with ambitions to be the next legendary producer. Anyway, back to Horch House, and not being kitted up with a reel-to-reel right now – and more than a little daunted by the prices for what must be the most fragile home playback format there is – I was more to discover that the company also releases its restorations as LPs and digital files. The prices are more reasonable, too, with the LPs at less than half the price of the tapes, even though of course vinyl is one step removed from the master, thanks to the equalisation required for mastering to disc. Right now, the digital files, selling for similar money, seemed of much more interest, being available in DSD64 (usually DFF, although some titles come as DSF files) as well as 96kHz/24bit and 192kHz/24bit WAVs. However, as one used to downloading massive files from the likes of 2L and NativeDSD to feed my DSD addiction – the benefits of a 120Mbps internet connection! – I was surprised that the Horch House experience isn’t all about buying online and then watching the files zip to the computer. Instead, the company delivers its files on credit-card-sized USB storage, each one in its own fitted storage box, so having selected some titles I’d like to hear, it was a matter of sitting back and waiting for the padded envelope to drop through the letterbox. On arrival I tried the files both with each album plugged into the front USB socket of my network player, and with the contents copied to my usual NAS drive and streamed over the network. 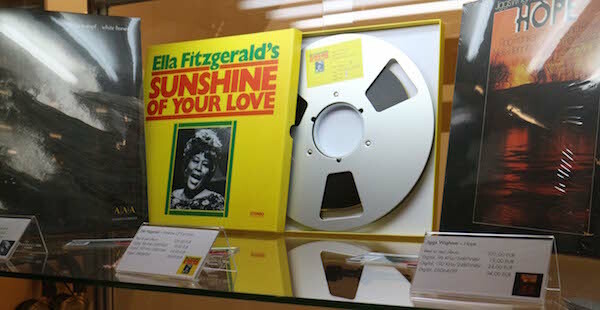 The titles I’d been sent, including a 1970s recording of Carl Orff’s Carmina Burana, Ella Fitzgerald’s Sunshine of Your Love from 1969 and a much more modern blues set by Hans Theesink and Terry Evans. 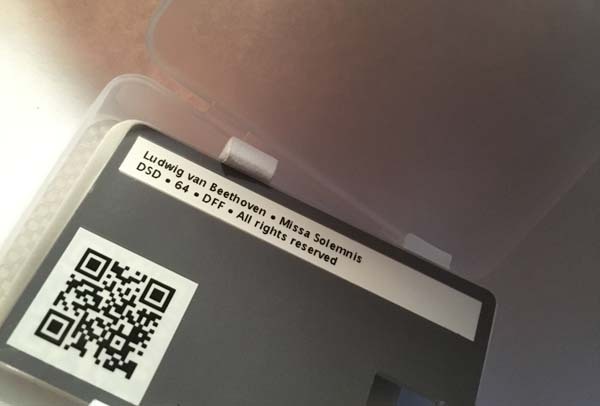 They show what I have long thought about the DSD format: as well as being excellent for new recordings, it’s a great medium for the preservation of older analogue ones, and as a means of making them available to a whole new audience. 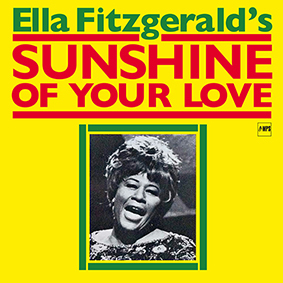 Admittedly the 1969 compilation of live recordings from the Fairmont Hotel perhaps isn’t Ella at her finest, the program including the title track, Hey Jude, This Girl’s in Love With You and standards such as Old Devil Moon, but it’s hard to argue with the vitality of the sound. Backed by the likes of Tommy Flanagan on piano, Ed Thigpen on bass and Frank de La Rosa on drums, this is a relaxed-sounding combo captured in concert, and with plenty of sparkle in the recording. 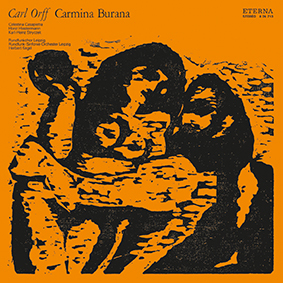 Similarly the Orff, a work so familiar as to now be almost a demonstration cliché, has a freshness in this 1974 recording made by musical forces in Liepzig directed by Herbert Kegel. To these ears the recording is a little lighter in the bass than more recent ones, which tend to go for maximum impact in the ‘O Fortuna’, but none the worse for that: there’s a freshness and fluidity to the sound here that has the effect of sweeping the listener along with the music. And just in case there’s any idea that it’s only old recordings able to benefit from the care Horch House puts into its transfers, the blues set has real bite and drive, and is packed with detail, from the movement of fingers on strings to the sense of space around the performers. Not surprisingly, then, I’m looking forward to see what the company can do with some of its forthcoming releases, which topically include the original John Williams recording with the LSO of his scores for the first three Star Wars movies.